Doctor Gibbs earned a Bachelor of Science in Business Administration with a Minor in Chemistry from the University of North Carolina at Chapel Hill and subsequently earned his medical degree from Wake Forest University School of Medicine. 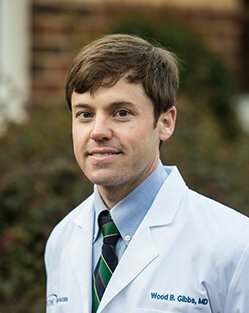 He was Chief Resident of Internal Medicine at the University of North Carolina Hospitals in Chapel Hill and completed a fellowship in Gastroenterology from Wake Forest University Baptist Medical Center. A native of New Bern, Dr. Gibbs returned home with his wife, Sarah Catherine. He enjoys playing golf and fishing. Dr. Gibbs is currently accepting new patients.